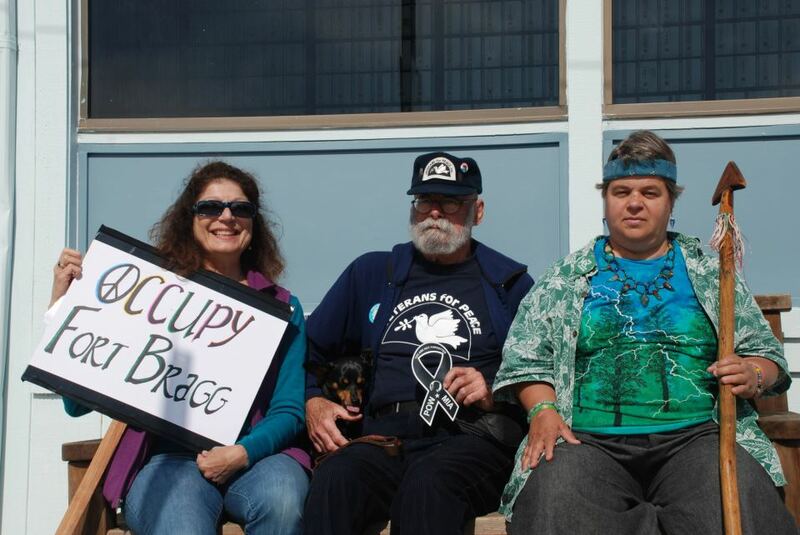 La st Saturday #Occupy activists in Fort Bragg joined the global ‘Day of Rage’ gatherings with half a dozen folks and a dog waving flags and carrying signs at the US Post Office, also standing in solidarity with #OccupyWallStreet and activists around the world. 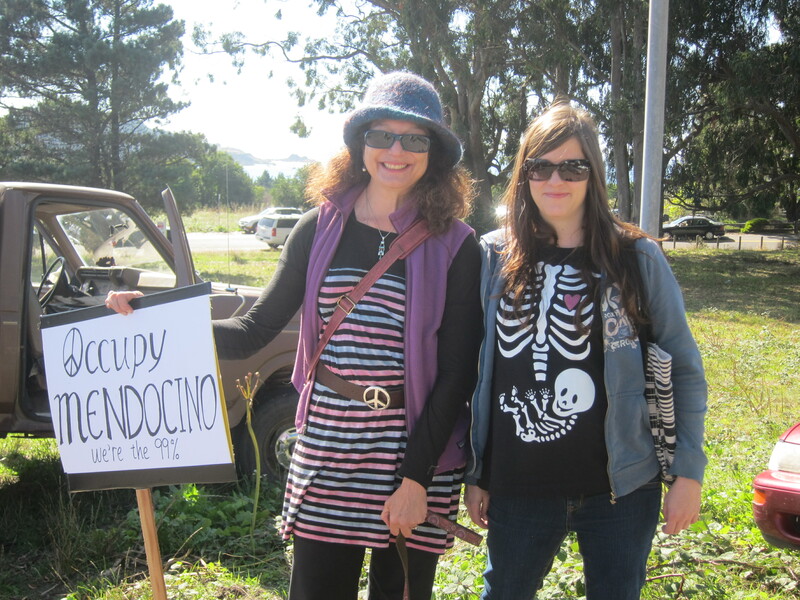 Following #OccupyFB, more than 35 #OccupyMendocino activists gathered for general assembly, working together and sharing at the library, organizing and brainstorming #OccupyMendocino actions. Please join us, join in and bring your own sign ~ WE ARE THE 99%!